Here you can manage all of your split tests. There is a table that lists each split test’s information, with an action column. The name of the split test. The campaigns that are currently in the split test. Whether the visitor tag is checked or not. If it is checked, visitors will only see one campaign in the split test (or one version of the salesletter). 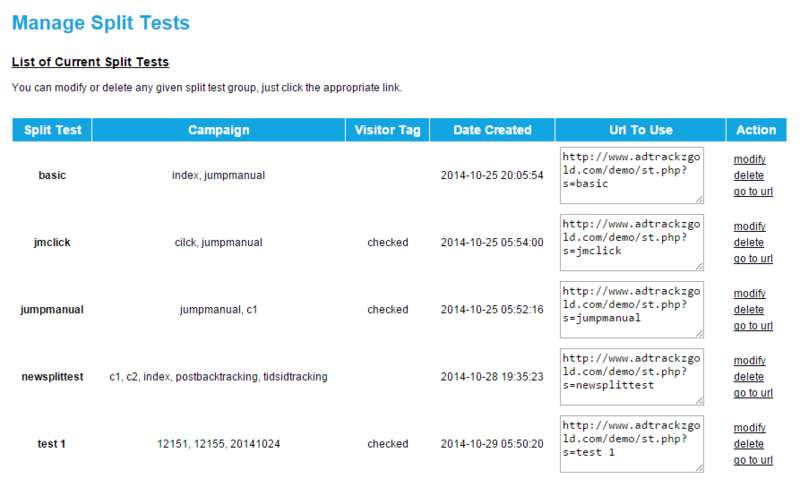 If it it not checked, everytime a visitor clicks on the split test link, they will be shown a random campaign in the split test. The date the split test was created. The split test link that you need to send your visitor to. Choose modify if you wish to make changes to the split test. 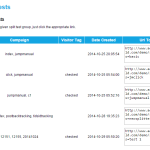 You can change the name, add or delete campaigns, or change the visitor tag setting. Choose delete if you want to delete the split test.